No Experience in programming or database management required. - Peers completely new to databases or any programming language. - Peers looking for a solid introduction to database management and its programming. - Peers who may have tried to learn SQL before were not able to get past the basics. - Peers of any age who have never programmed before. 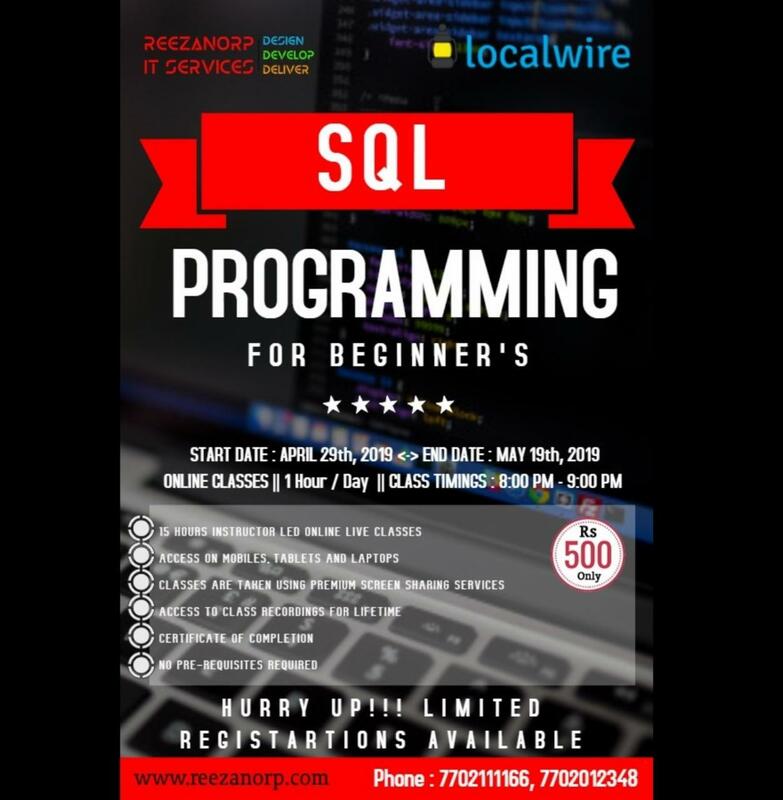 - Peers who want to learn the basics of database management and programming quickly using Sql. A live speaker and instructor are available to answer questions during this course. Upon completion attendees will get a certificate of completion from Reezanorp IT Services Opc private limited. (ii)Amount once paid is non-refundable. (III) As this is an Online course so classes will be conducted using gotomeeting client so if anyone fails to attend the class they can view or see the recording of the class in the google drive link which will shared on the whatsapp group of the course. (iv) The student must see to that he has a good internet connectivity and a good personal computer or laptop through out the course. (v) PC or LAPTOP and a good internet connectivity is mandatory.